EdgeDB: A New Beginning — An introduction to EdgeDB, a new open-source object-relational database, which will have its first public tecnhology preview in a few weeks. When Using Bind Variables Isn't Enough: Dynamic 'IN' Lists — Using bind variables is nearly always a good idea when working with SQL but sometimes they don’t always hit the mark, as demonstrated here. 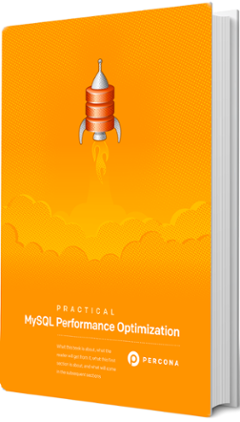 Learn MySQL Tuning From the Experts with Percona’s eBook Series — With direction from the experts at Percona, you will be empowered to tune your MySQL settings and parameters to improve application response time and optimize overall database performance. GPU Databases Are Coming of Age — GPUs are powering a new generation of databases. What’s so special about them and can they come into their own? My Favorite Postgres Queries and Why They Matter — An interesting combination of queries the author has found to be interesting/engaging to explore, study, and learn from. Things You Cannot Say on Facebook, SQL Edition — If you want to share SQL queries over Facebook at Work, you might encounter problems. Fast-Paced Authoritative MMO Data-Models — A look at state synchronization across connected virtual-worlds which moves into explaining why Yugabyte is a good choice for the task. Convince Your Boss to Send You to Postgres Vision in Boston — Get your justification letter and register today. TextQL: Execute SQL Against Structured Text Like CSV or TSV — Under the hood it pulls in a CSV to SQLite and runs queries against that. Updated SQL Server Extension for Visual Studio Code — Turns VS Code into a powerful T-SQL development environment. It’s also celebrating 1 million installs overall. OmniDB 2.7 Released: A Browser-Based Database Management Tool — Originally just for Postgres, MySQL, MariaDB, and Oracle support has been introduced. Hazelcast Jet 0.6: The Embeddable, Stream and Batch Processing Engine — Embeds the Hazelcast In-Memory Data Grid for high performance distributed data processing on the JVM. Redi/S: A Redis Server Implementation in Swift, using SwiftNIO — Only supports about a third of Redis’ functionality so far.